Detailing the physical features, habits, territorial reach and other identifying qualities of the California Trapdoor Spider. An arachnid version of the Jack-in-the-Box toy, California Trapdoor Spiders are not at all amusing to the prey they startle. 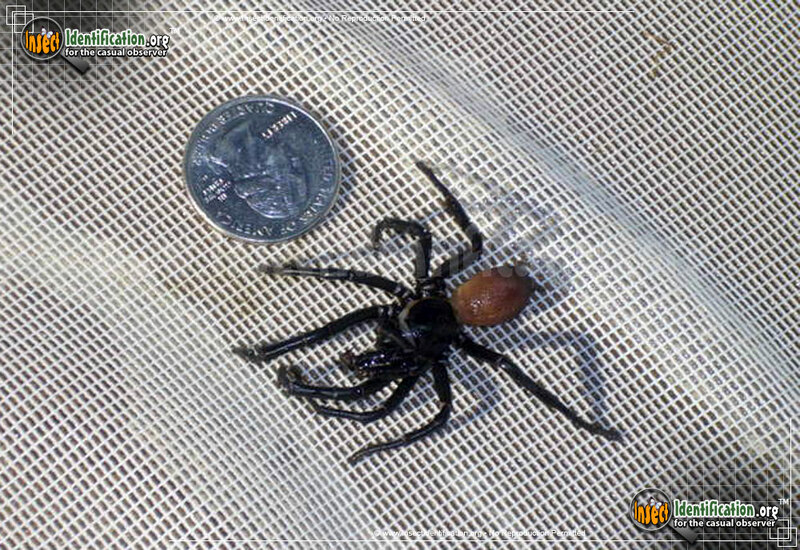 California Trapdoor Spiders are native to Southern California. In many ways, they resemble smaller versions of tarantulas, but with shiny, hairless bodies. 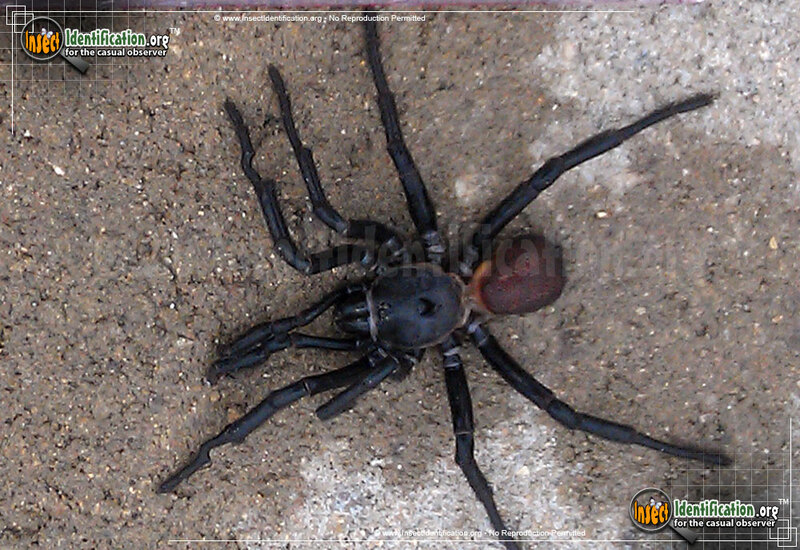 The whole spider is black except for the rusty brown abdomen. The large, round cephalothorax has a deep dimple in the center of it. The chelicerae (jaws) have spines on them that help this species with digging underground burrows. 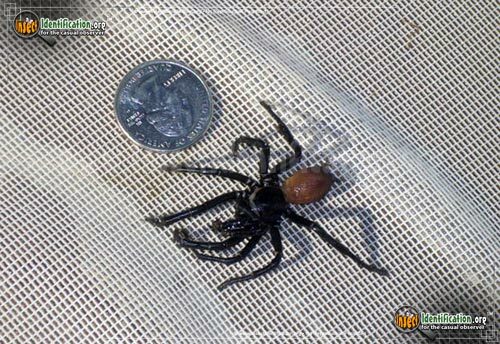 As is the case with most spiders, the female California Trapdoor spider is larger than the male. Males search for females during the winter months. Females lay their fertilized eggs at the bottom of the burrow. Once spiderlings hatch, they leave the burrow, sometimes sooner rather than later thanks to heavy spring rains. These burrows can be more than 7 or 8 inches deep and serve as both a home and a trap. The top of the burrow opening is covered with a silk door that is hinged. As the years pass, spiders add more silk webbing to their doors. They may also collect debris and loose leaf litter, helping to camouflage its existence. Burrows are usually built into hillsides or cliff-faces, often facing direct sunlight for ambient warmth and usually near vegetation that is likely to attract insects. Under this door, the spider waits and, when it senses oncoming prey, it quickly lunges out of its burrow and catches the prey item. Once caught, the prey gets pulled down into the trap and restrained in the burrow by both the spider's body as well as silk-covered walls inside the burrow. The prey is consumed below the door, leaving no warning above for future passersby.